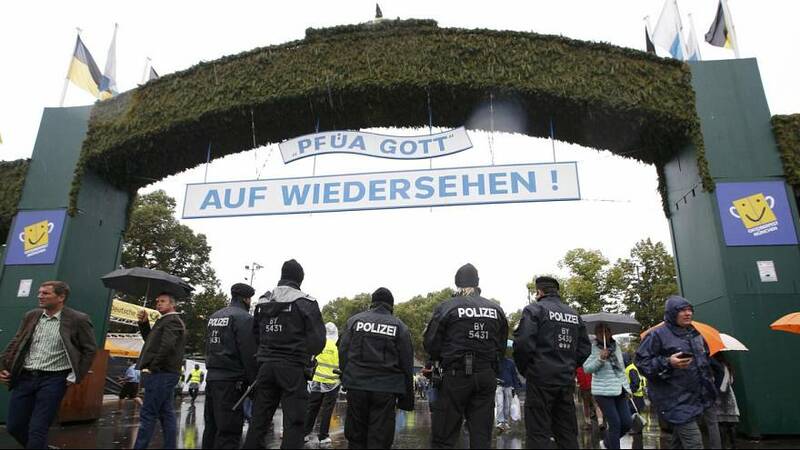 Oktoberfest in Munich has opened amid heavy rain and even heavier security. Terrorism fears in Germany have seen the world’s biggest beer festival fenced off for the first time. The number of stewards has increased and backpacks and large bags are prohibited, in most cases. Some six million people are expected to descend on the Bavarian city over the 17-day event. Authorities say the aim is to keep the more-than-200-year-old festival authentic, but safe. Fears were raised in July, 2016, when ten people were killed and dozens injured in separate gun, bomb, axe and knife attacks in and around the southern region across one week.